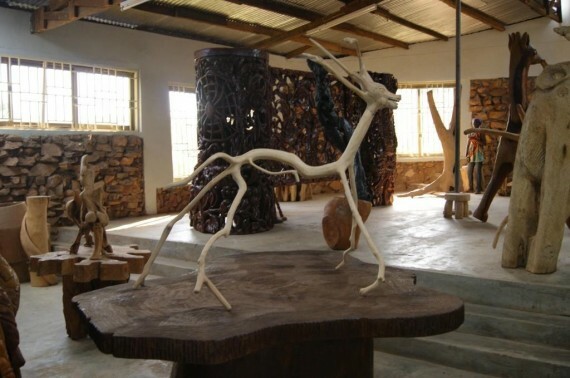 An exhibition of large-scale impeccable wooden sculptures by Alex Sefah-Twerefoah is currently underway at the Seflex Gallery, which is located at Tantra Hills in Accra. 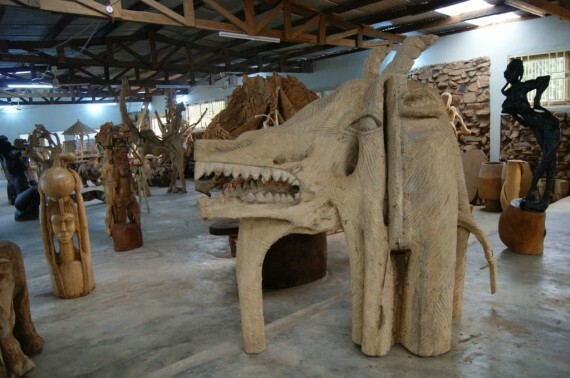 Repeated shapes from woodcarving characterize the sculptures, some of which are two meters high. However, on close observation, one will surely notice that they are both impersonal and abstract while exuding an aura of intimate feeling. 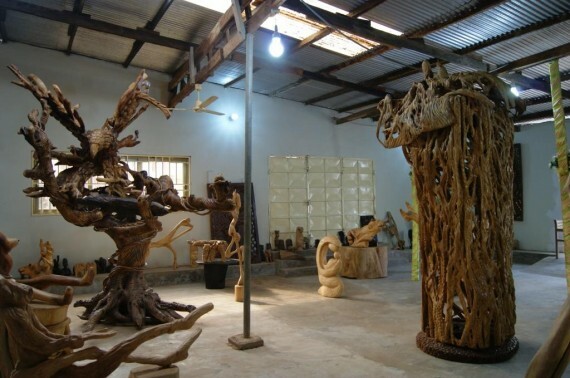 Trained at the College of Art, Kwame Nkrumah University of Science and Technology (Kumasi), Sefah-Twerefoah’s work, which also comprise exaggerated human and animal figures, serve as eloquent testament of his deeply held philosophical, social and cultural beliefs. 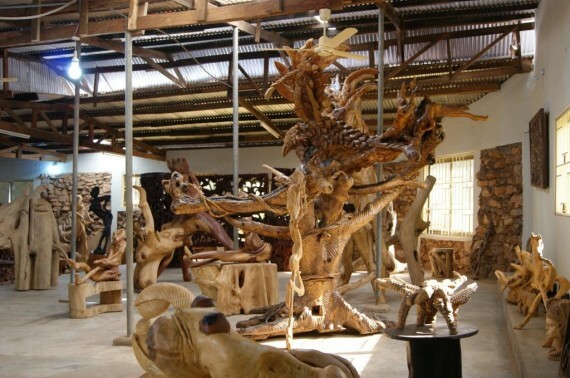 “I usually work with discarded wood because it is abundant in our part of the world. Undeniably, the types of wood I use (ebony, cedar, mahogany etc) are easy to find. 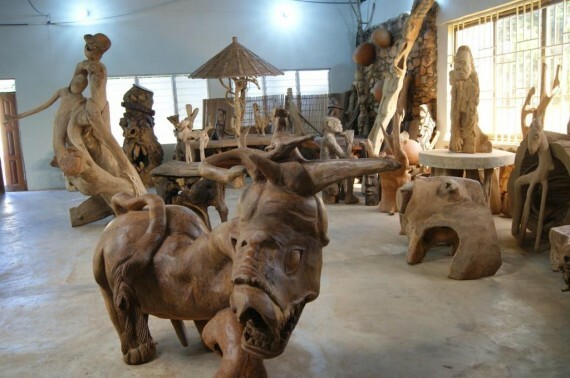 I use what I find and my theme is dictated by what I find”, says Sefah-Twerefoah, who is a former director of the Centre for National Culture in Accra. With a symmetrical interplay of solid, void and light alongside qualities of uprightness, dignity and balance, Sefah-Twerefoah’s work are realized with sculptural energy and emotional resonance. A number of his works are calculatingly placed in the huge gallery to augment texture whilst enhancing the visual impact of these “high rise” sculptures. 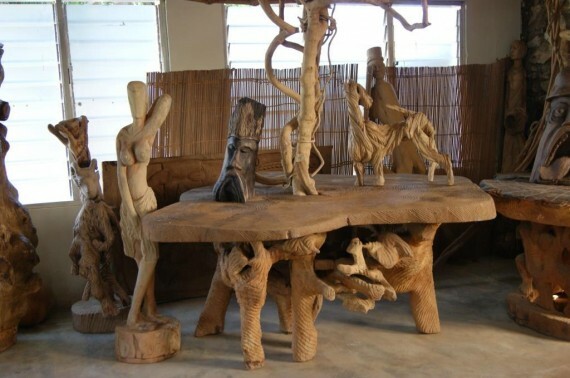 On the other hand, he brings exotic difference and intellectual attachment to discarded wood through sheer creativity. 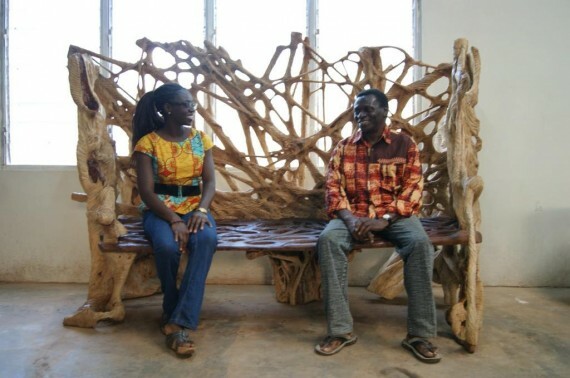 “Ghanaians are gradually being educated about the merits of art hence the increase in the appreciation of artworks. 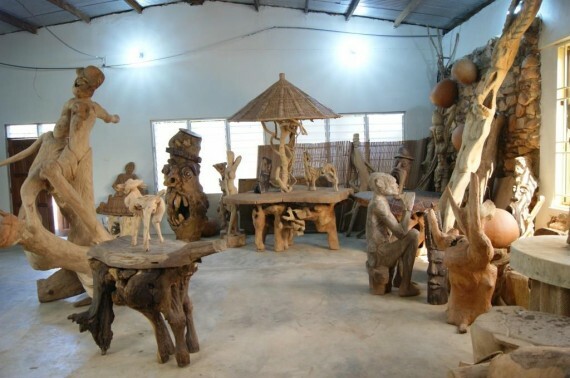 Government and corporate bodies must be proactive in the support for the arts while setting up foundations to ensure its development”, continues Sefah-Twerefoah, who has exhibited widely in Ghana, Canada, the United States and other parts of Africa. Collectively put together, the sculptures tend to evoke rich primordial forests that suggest humanity’s lost intimacy with nature. It reminds us of the environment and its associated problems. The gallery /exhibition was opened by Michael Attipoe, Director of Finance at the National Commission on Culture.